Smoked tofu is the business and we particularly love Taifun, although it is the most expensive! Other brands work better if you fry them up first then drizzle with a little soya sauce - drizzle into the frying pan at the end of cooking to coat the tofu slices. Yum! You can buy Taifun from Waitrose. Otherwise try a good health food shop for alternative brands. 1. 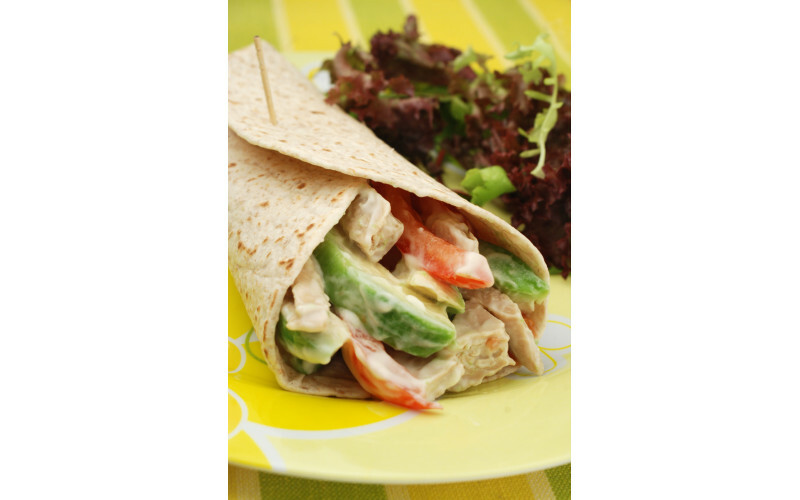 Slice all the vegetables and then lay arrange them in your wraps, topping with the vegan mayonnaise. *Mix half yogurt to half mayonnaise for a slightly tangier, thinner dressing - also lower in fat and calories!